GRE should have had about a dozen people here. I realize that such mass attendance is not realistic, but the information that I was able to absorb myself (approximately 0.09% of all the information presented at this conference) pertains to every group in IT. The exception being the telecom folks and the possibly the PMs. Microsoft blew me away! I’ve likely been to 20+ conferences in my 22-year IT career–this one was in a league of its own. Microsoft is rolling out new features based on community feedback at a rate no other technology company is going to be able to match. 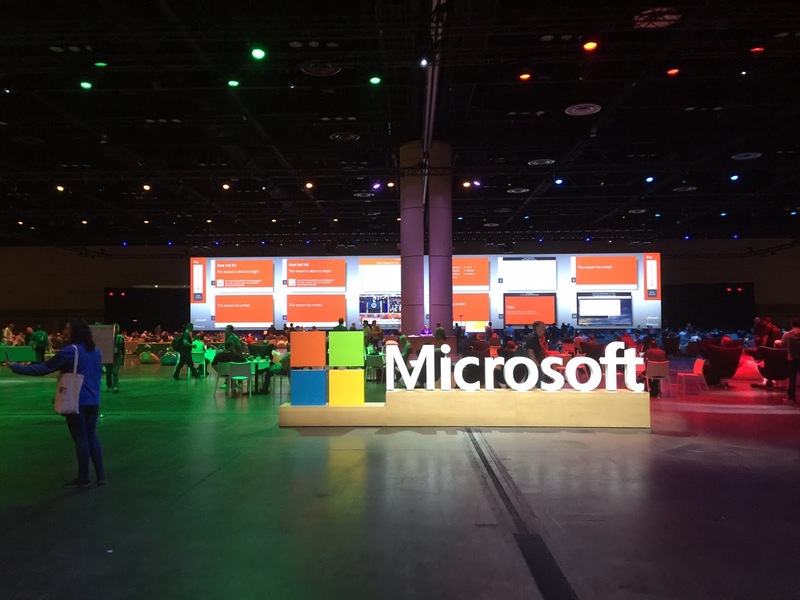 At their current pace, Microsoft will put all of the vendors on the Expo floor out of business within five years by incorporating and improving the services they are currently hawking into the Microsoft 365 platform. Nearly every aspect of this event was done with a level of thoughtful professionalism that I couldn’t help admire, envy really. There is a chasm between Oracle and Microsoft in terms of forethought, strategy, and ability to execute. And most importantly, we’re doing it wrong. It is understandable that when we set out to move from one ECM platform to another, we used history as our guide. I’ve got news for Mr. Santayana: we’re doomed to repeat the past no matter what. That’s what it is to be alive. And so we set out to build a an information taxonomy in SharePoint based on the GRE org chart; just like we’ve always done; just like in OCS. Except, if we use past adoption/use/success of OCS/CTD/ETC as a gauge, it would appear we are again striving for mediocrity by taking the approach everyone is expecting. This is illustrated by my presentation to senior staff last year. I showed them the Transmission Contracts migration in SharePoint and the chief “innovation” I touted was better search capabilities. In essence, we copied what we had in OCS (down to the metadata fields), moved it to SP, and announced that the search would be better. Honestly, if we did deliver a better search experience, it would be a welcomed “innovation” from the user community, and we all would have marked this as “mission accomplished”. Well, it turns out MS365 is so much more than enhanced search, so, much, more. And it’s possible that we will not achieve MS365 greatness at GRE to the same extent other companies will/have. But if we roll out what we piloted for transmission contracts, we’re not even trying. And that’s not just my humble opinion, it’s a lead pipe cinch. Gang, I’m here to tell you that the world of Microsoft Three Six Five, the one that Most closely aligns with where Microsoft will drive future vision, strategy, and enhancements, starts with the Groups tile. This was the clearest message throughout the conference. It perfectly aligns with my idea of a personal dashboard approach (as opposed to a corporate taxonomy/portal) I have been pitching since the release of the new UI Collaboration and Communication sites, but it’s more centralized (in a decentralized way) than that. …users already know more than IT. …is light years ahead of the corporate web experience. And it has been that way for a while now. In fact when users come into work each day, it’s not unlike stepping back in time, like a “Back to the 50’s” weekend when it comes to technology. And that’s understandable to a certain extent. As much as I advocate for anarchy in my personal life, as a member of the IT staff, it’s not that appealing in a corporate setting with technology and data and all. And that is where this whole idea of MS365 comes in–that is what the entire Microsoft cloud experience will be branded as in the forthcoming weeks. So the idea behind MS365 is that (nearly) every conceivable tool required for a knowledge worker to do the vast majority of his/her job is available on one platform. And from what I’ve seen all week, this is not a clever marketing campaign, a cool theory, or vaporware. The starting point for any knowledge worker using the MS365 platform is the Teams tile. Why? Because as it turns out, people mainly work in teams–structured and unstructured–shocking, I know!!! I’d like to think that whatever Randy Carlson, Sloan Carlson, Natasha Peterson, or Lauri Petersen is doing is very fascinating and of much interest to me. In reality, I’m mainly interested in what Joe’l and Tammy are doing. That is my structured “team”. They are the ones with whom I exchange the vast majority of information (80%) required for me to do my job. The other 20%, I’ll find via search on the various other team collab sites. Now I am on other teams to be sure. I’m interested in what the Adept folks are doing. It would be great if we had a team that functioned as an Adept COE. I’d totally join that team! I’d share procedures, tips and tricks, and whatever else made sense with that team. But I’d likely visit it on an as-needed basis as opposed to a day-to-day basis. It would be informational rather than operational. When it’s all said and done, I may end up a member of a dozen or so teams. And that would serve me for the vast majority of information I need to do my job. My personal dashboard would show those teams as well as the associated collaboration/communication group sites and salient content. The entire experience would be built around the individual; it would start there; it should start there. I truly believe that this is the future of content management and collaboration in the corporate setting, mainly because this future is now in the consumer setting. And we can surely continue to follow the age-old, highly-structured, taxonomy-driven approach. But if statistics are any indication–Google Analytics specifically–that approach only drives users to find other more flexible and functional options for content management and collaboration. And if Microsoft is to be believed, we’d be doing it wrong…again.